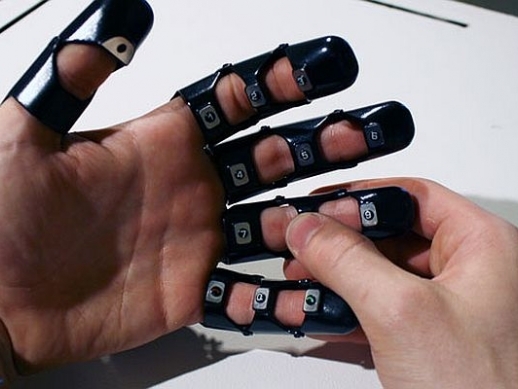 Wow ... Amazing and Interesting: Glove One prototype cellphone lets you talk to the hand, literally! 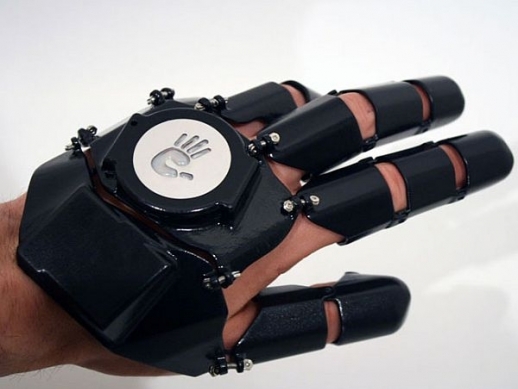 Glove One prototype cellphone lets you talk to the hand, literally! Holding up one’s thumb to the ear with the pinky in close to the mouth and the rest of the fingers folded is in internationally recognized gesture for talking on the phone (or asking someone to give you a call). 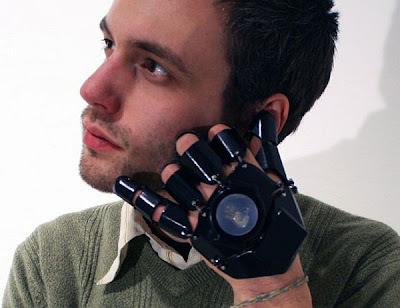 However, Milwaukee, Wisconsin-based designer Bryan Cera decided to give the gesture a literal avatar and created the Glove One which is basically a cellphone that fits over your hand like a glove and lets you make and receive calls with the same gesture! The cellphone prototype is an innovative take on handheld communication devices though it does disregard people’s preference for handsfree cellphone usage. 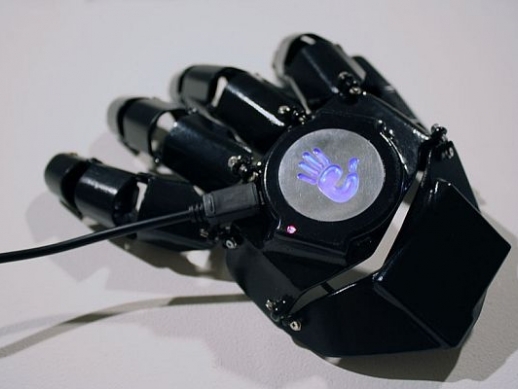 Being something of a specialist in re-purposing electronics and custom building circuits, Cera created the wearable mobile phone using a whole lot of modded stuff and a 3D printer and says that using the Glove One allows our emotional bond with our cellphones to be felt a lot more physically.